More visitors to the Monaco Dog Show. Why are their eyes so red? Did they have a rough night? Is this a Dogue de Bordeaux? I know someone with a dog similar to this and to my eyes she's rather lugubrious looking but my 2 Goldens adore her. Beauty's obviously in the eye of the beholder. I don't know why their eyes are so red. It was a hot day? Although I think it's because the lids droop so much, we simply see the inside part of the eye. 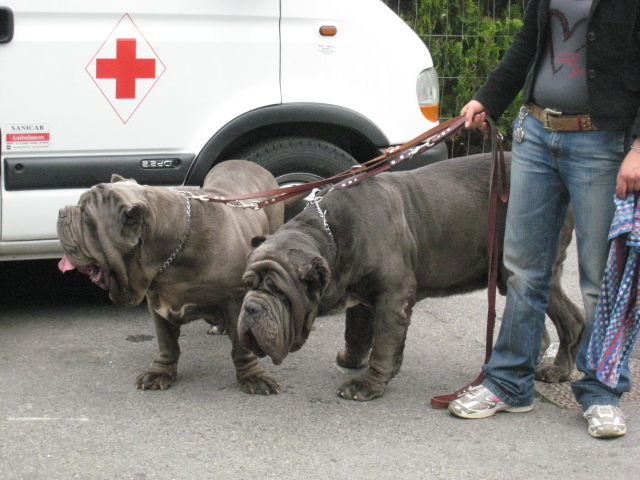 And Angela, these are Neapolitan Mastiffs. A Dogue de Bordeaux is quite a different colour and look actually - lovely dogs though I'd not take one en pension, as they are essentially guarding dogs, I believe. 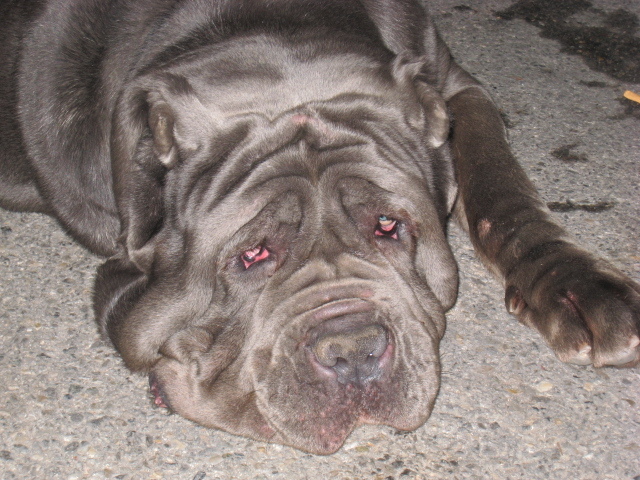 WOw.....how do you say "ugly" oops...I mean...beauty is in the eye of the beholder.....another breed I have never heard of the....the Dogue de Bordeau I have heard of and seen, though!